Email marketing is a very popular form of communication with customers. Email marketing act as a media to retain among our customers and it is a sign of good customer relationship management. It usually involves broadcasting emails to a group of people containing ads, business request and product promotions. As we know everyone uses the internet today to keep in touch with outside world. We use internet for online shopping, education, banking and much more. Therefore, email marketing has become quite popular form of marketing without physical interaction with customers. It provides a strong base for small business organizations for growth and expansion. In this article we are going to discuss some best Email marketing services with a brief description of each. You can choose any of these according to your budget and requirements. List Of Best Email Marketing Services. 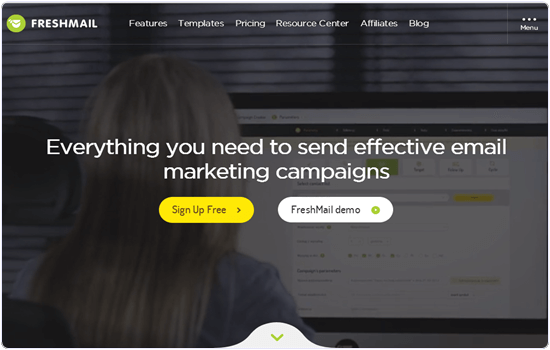 ActiveCampaign is one of the in list of best email marketing services. If you really want to attract your customers then you need to take care of their interest. It is possible with ActiveCampaign. We can easily send newsletters, as well as design beautiful email campaigns and send to our customers based on their location, interest etc. We can easily customize our newsletters with drag and drop support. It’s plan start from 9$ per month for 500 contacts and 49$ for small business. 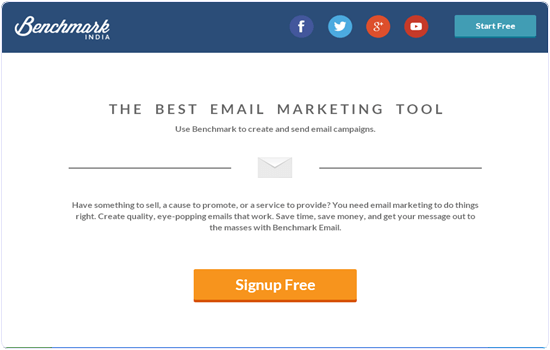 Benchmark Email is another best in all email marketing services. It offers email templates for every occasion and specially for festivals. It uses the drag and drop support for email creation. These emails are device friendly and responsive. Benchmark Email also provides a code editor if we want to edit a template according to our design. It even has a built-in photo editor to edit photos. It’s plan start from 9.95$ per month. AWeber make you sure that subscribers retain in your email list. We can easily integrate it with PayPal, Facebook and WordPress and other sources through which we can target our subscribers. It also provide two apps for smartphones. One is AWeber stats app to check email marketing stats and other is Atom app to add subscribers on the go. 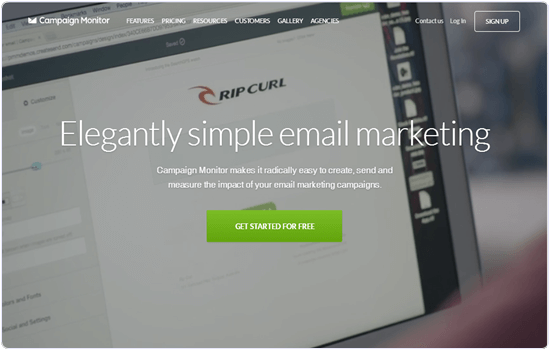 Campaign Monitor is also a good and easy tool to manage email marketing software. It provides email automation, Eg. welcome messages, promotions, reminders, etc. It also provides real time reports to check number of people that open it and even share it. We can easily organize our email marketing contacts in different segment according to categories. We can send up to 2500 emails to 500 customer at a price of 9$ per month. 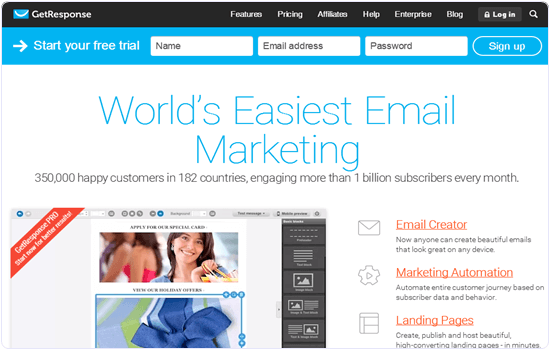 Constant contacts is also an amazing email marketing platform software which offers a 60 days free trail. Constant contacts believes that email newsletters help us to connect and build trust of our customers. We can easily create newsletters with hundreds of templates. It also provide automatic email generation and a system to track every single click of our emails. It’s services start at 20$ per month. If you have a small organization or if you are a new start-up then this service is really for you. It provide free 2000 emails to 500 contacts. Also, it’s price is very economic ie. 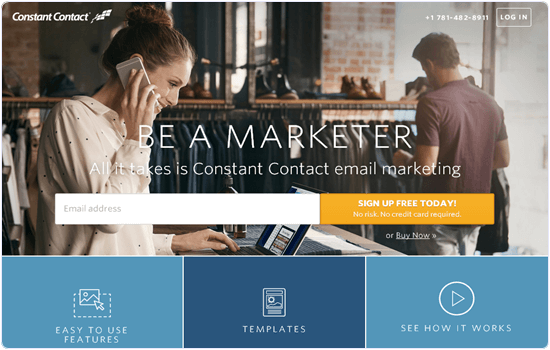 17$ per month for unlimited emails to 1000 contacts. 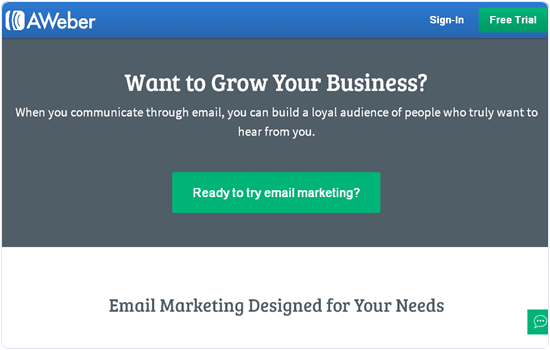 This service provides stunning email templates and a template editor. It also provide real time email tracking with spam protection. If you worry about how your email will look on smartphones then this email services is perfect for you. We can easily create newsletters in different responsive templates. It also provides 500 different web form templates to meet the business requirements. We can easily create emails with its drag and drop email creator. It’s price start from 15$ per month for 1000 subscribers with unlimited emails. iContact is another famous email marketing services. With the help of iContact we can get all our business contacts at one platform. Beside sending emails iContact also include social media tools to schedule Twitter and Facebook status updates. iContact helps us to design email template for our business and get the most out of our email marketing efforts. It’s plan start from 10$ per month for 250 contacts. 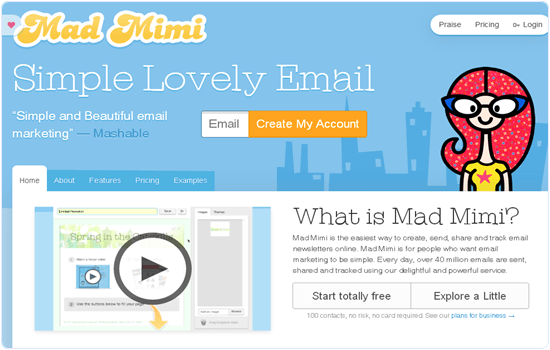 Mad Mimi is also a good email marketing platform for new start-ups. This is because it provide 12500 emails for 2500 contacts per month for free. Also, it’s plans start from 10$ per month for 500 customers. This email service mainly focuses is on email marketing and rest of it’s features are in hand of users to toggle. It provides simple and easy to use interface. 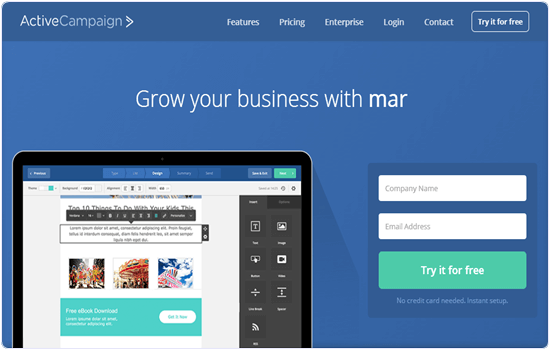 We can quickly create our designer email and sent then to our subscribers. 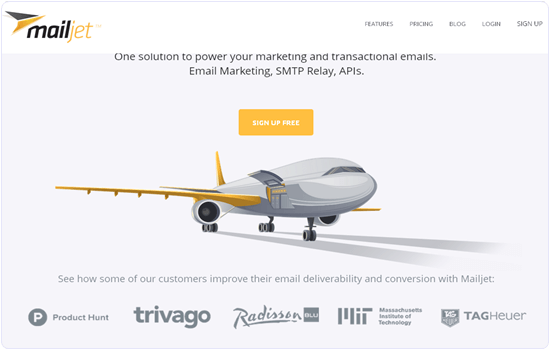 Mailjet yet is another best transnational email service. We can easily create responsive and beautiful emails within few minutes. It allows us to send 6000 free emails per month. With the help of it’s send API we can send automated messages and can also customize it’s built in templates and hand-code our own email templates. We can also generate automatic response with the help of its parse API. It’s monthly plan starts from 7.49$ for 30000 emails. In conclusion, we hope you find the best service that suits you from the ones mentioned above. These are the best email marketing services out there and can definitely be trusted. Share your thoughts on the services you use as well as your experiences in the comments below.